Travel Diary: A Plea - Stop Polluting The Andaman Seas! I have just returned from a very exciting, thrilling and enjoyable trip to the Andaman Islands. As we had only 6 days at our disposal we were able to visit only a few of the islands and Port Blair. There are a lot of foreign and Indian tourists who visit the Andaman Islands for a holiday or sight seeing. While some places are very strict about not polluting the sea and the beaches with plastic water bottles or polythene bags, I was shocked to see the Andaman sea flooded with water bottles all the way from the Port Blair (Aberdeen) Jetty to the Ross Island Jetty. The sight of all those water bottles bobbing up and down in the sea was very disheartening and a sore for the eyes. I really had a strong urge to jump into the water and collect all those bottles and bring them ashore, to clean up the seas. 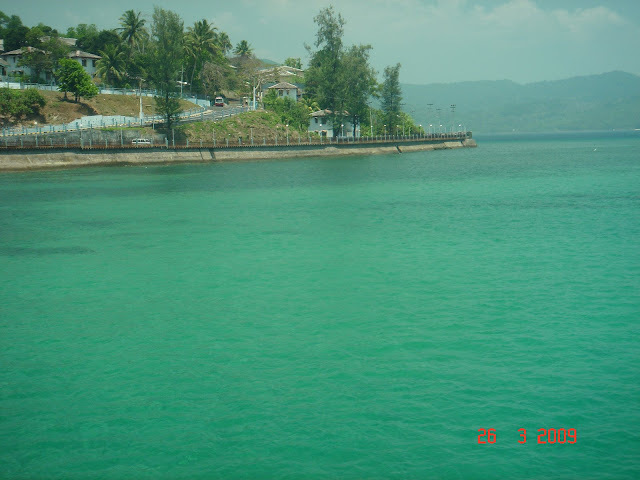 The Andaman Sea water is very deep blue in color on a normal sunny day and the waters are crystal clear. It's a pity to see it being polluted this way by water bottles, which were obviously been thrown overboard from the ferries that went up and down between Ross Island and Aberdeen Jetty. I was wondering why the authorities did not take strong action against these offenders who were responsible for this dastardly act. What are the Port authorities, environmentalists, fisheries department, Muncipal council authorities doing? Are they not aware of the waters being polluted? They could very easily impose a fine on anyone caught red handed throwing water bottles in this manner. This is a strong plea to all those who are going to visit Port Blair or the Andaman Seas to STOP polluting the seas! And also to the concerned Government officials and authorities in Port Blair...Please Do something to stop this menace before it's too late..! SAVE OUR ENVIRONMENT!